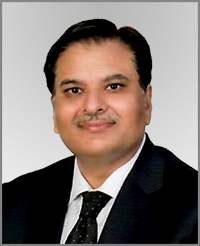 Mr. Mohammad Younus Dagha is a career Civil Servant having joined the Government of Pakistan in 1985. He possesses varied experience in the fields of Finance, Energy, Commerce, Trade Diplomacy and Public Administration. He holds post graduate degrees MA Economics, MBA (Finance) and Bachelor Degrees in Law and Commerce equipping him with required academic background to manage multifaceted assignments in his career. During his career spanning over 33 years, he has handled many challenging assignments. From being an Administrator at various tiers in the Provinces of Sindh, Khyber Pakhtunkhwa and Gilgit-Baltistan to Project Management in mega projects. As Secretary Mines & Minerals GoS he conceived and finalised the JV on Thar Coal Mining between the GoS and Private Sector company, the largest Public Private Partnership which successfully met the challenge of opening up Thar Coalfield. As Secretary Investment in Sindh, Mr. Dagha facilitated numerous Wind Energy projects in Jhampir-Gharo Wind Corridor which were executed efficiently. As Chief Secretary Gilgit Baltistan, he facilitated land acquisition for Diamer-Basha Dam. During his tenure as Federal Secretary Water and Power, the power sector witnessed a major turnaround during 2015-17. The investors, especially under China-Pakistan Economic Corridor, were provided with the required policy incentives and facilitation to ensure timely initiation of the new generation and transmission projects. This helped the country come out of the perennial power crisis. Country’s exports were in continuous decline for the last three years when Mr. Dagha was appointed as Secretary Commerce in April 2017. During FY 2017-18, Pakistan’s exports registered a growth of 14% which is among all time high growth figures in country’s history. Mr. Dagha joined the position of Finance Secretary on 22nd March, 2019. He has four children - two sons and two daughters. He is an avid reader and takes interest in sports and music.